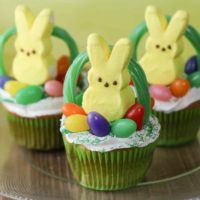 These adorable Peeps Easter Basket Cupcakes do double duty. A fun craft activity to make as a family, and a delicious Easter Treat! Homemade or Store bought icing, a few candies, and a little icing bring these Peep Bunnies to life. Don’t get too bogged down in the details, you can use Peeps Chicks too. Don’t like jelly beans? switch it up with any of the many mini eggs that are available this time of year. I love the Cadbury Cream Egg minis, but some find them too sweet. Caramel mini eggs would be excellent also. The adorable Peeps Easter Basket Cupcake does double duty. A fun craft activity to make as a family, and a delicious Easter Treat! 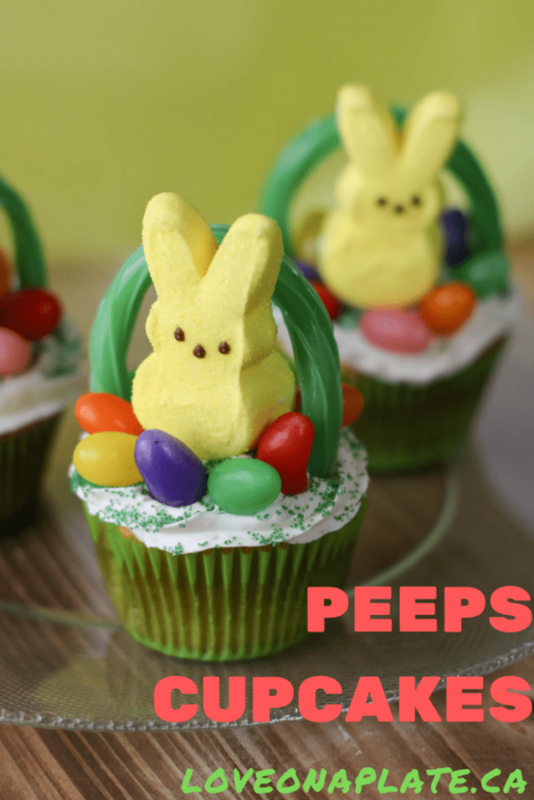 Homemade or Store bought icing, a few candies, and a little icing bring these Peep Bunnies to life. Community now. We also have a YouTube channel, that’s new but growing, I’d love it if you would subscribe!